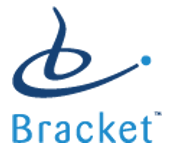 Bracket is a Specialty Services provider dedicated to helping pharmaceutical sponsors and contract research organizations achieve greater certainty and accurate outcomes in their clinical trials by seamlessly leveraging science, technology and operational excellence. Bracket is the union of United BioSource Corporation’s (UBC) Specialty Clinical Services and Clinical Technologies divisions. With comprehensive service offerings for clinical trial accuracy all under one roof, Bracket is unlike any other organization. Now companies both small and large can rely on one provider for both strategic and technological support covering every detail of their clinical trials. Previous article Capellon Pharmaceuticals, Ltd.